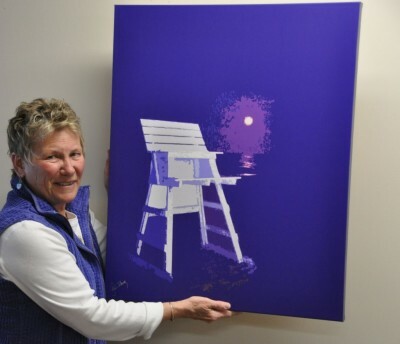 A native of Philadelphia, Geri's work has been exhibited throughout the United States as well as in Europe, South America and Australia. She has exhibited at the Maine Photographic Workshop summer show in New York City and the William Penn Museum in Harrisburg, Pennsylvania. Recently, Geri has also had numerous solo shows inn both Pennsylvania and Delaware. Locally they include Cloud 9, Cafe Zeus, Mixx, the Delaware Arts Gallery, The Thunderbird Shop, Thistles and the Wooden Indian. 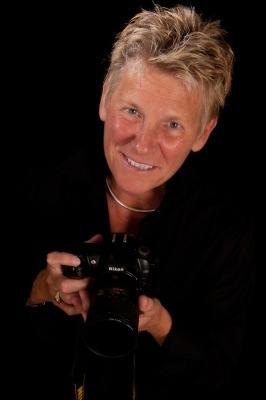 After a successful 15 years as owner of The Main Street Studio in the Manayunk section of Philadelphia, Geri now returns full time to her passion for photography. 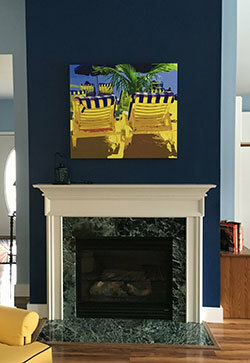 She is delighted to be living and working in Lewes, Delaware, amidst the beauty of the coastline. View an article about Geri Dibiase published in the December 11, 2010 issue of the Cape Gazette.. You will need Adobe Acrobat Reader to open this document. Click on the Acrobat Reader icon at right to download this free program. View another article about Geri published in the November/December 2008 issue of Delaware Beach Life magazine. You will need Adobe Acrobat Reader to open this document as well. View an article about Geri Dibiase published in the December 11, 2010 issue of the Cape Gazette..
View an another article about Geri Dibiase published November/December issue of Delaware Beach Life magazine. In the Limelight: Geri Dibiase. This is “In the Limelight,” our blog series that takes a closer look at some stunning canvas prints and the photographers behind them.